The book is an excellent reference for beginners and experts as well. It gives a great overview of the history of Japanese, Domestic and German Koi. It gives an excellent< !> review of the different types of Koi that have help me a great deal in identification. My local Dianichi and Sankaye Koi dealer also says that their consensus is that Cult of the Koi is by far the best they have ever seen. I don’t think this is the best book on Koi. Although it covers all the standard topics (Koi identification, pond building, filtration system, diseasees, etc. ), it does not give enough details in each topic. The “Tretra Encyclopedia Book of Koi” is by far the best . I know, it is not available for sale any more, but try to find it in a library. It is well worth the effort and you can save money as well. Great book! 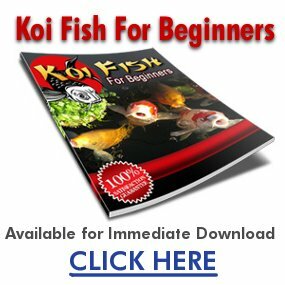 Equally helpful for the novice and experienced Koi lover alike! Great pictures and detailed descriptions.I highly recommend this book. a good koi book with high price. and it is already outdated however a good book for you collection.